Flying Lessons: Unstable Approach to Pilot Hiring? Unstable Approach to Pilot Hiring? This is the question being asked today, two days removed from the episode on board a JetBlue flight when the captain's erratic behavior forced the co-pilot to lock him out of the cockpit; Is the process of hiring pilots sufficient to assure that they have the required mental stability for the job? When the question was put to me this morning by Stephanie Abrams of The Weather Channel, I said, overall, yes. Look at the successes over the years. Millions of flights, thousands of passengers "actin' the fool" and getting booted, sometimes arrested for mental breakdowns or simple air rage. One can't expect all that misbehavior to remain in the back of the plane. Pilots are human too. There have been exceptions of course; Auburn Calloway the Fed Ex flight engineer who took a hammer to his fellow flight officers in 1994, Gamil al-Batouti the first officer on EgyptAir Flight 990 thought to have brought the B767 down in an act of suicide in 1999. 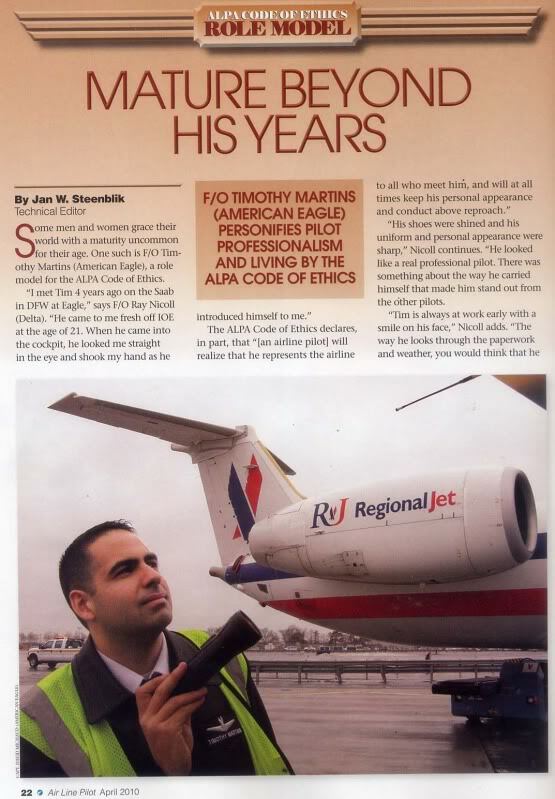 Then there is the silly - leaning toward questionable - antics of former American Eagle pilot Timothy Martins, who confined his misbehavior to off-plane instances of embellishing his personal history to a reporter from ALPA magazine. All of which is to say that when Clayton Osbon lost it on JetBlue Flight 191 he was not the first pilot to break down, but this is far, far, far from being the air safety issue the news stories would suggest. Most airlines take the selection of airline pilots very seriously. Who wants to spend all that money training them, let alone entrust a multi-million dollar airplane into the care of a crackpot? Still, as aviation booms and pilot supply diminishes, there could be pressure to hire flyers who otherwise might not make the cut. To airlines so inclined, the JetBlue event earlier this week should be a wake-up call. But if anyone should be paying attention, it is the folks who, following the attacks of 9-11 thought it was a good idea to arm pilots. The U.S. Federal Flight Deck Officer program may have (and I equivocate because its never been officially confirmed) allowed into its ranks, the aforementioned Timothy Martins, about whom you can read more here. Capt. Osbon's case is a personal tragedy and a public drama, had a firearm been in the cockpit, that's almost certainly how it could have ended up. The JetBlue incident was not a wart on the pilot hiring process. Capt. Osbon reportedly had been with JetBlue since its inception in 2000, and was one of the company's Check Airmen. It's likely that he had more airline experience prior to joining JetBlue. If you want to be critical of hiring practices, the Colgan accident at Buffalo was a better example of an airline's management failing to vet its hires. But IMO hiring practices are non-issues insofar as JetBlue is concerned. In fact, the FO's actions under the circumstances demonstrated his capability for incisive actions in the face of extremely stressful circumstances. The FO was the right person, at the right time, to do the right thing, in a totally unpredictable (stressful) scenario. There was no training, no screening, no premonition, but simply an amazingly good decision in the face of an operational crisis. Good for him. Thankfully, sometimes that works out for the parties involved (UA232), sometimes it doesn't (AF447). You can take that as Divine intervention, or simply luck of the draw; take your choice. Personally, based on my experience on the flight deck, I'll apply the 80/20 rule: 20 percent luck and 80 percent Divine intervention. The FO did an incredible job under an extreme circumstance. He is to be commended for his actions during the event and since the event as well. I agree, the FO was the epitome of grace under fire and he made every FO proud that day! As an FO myself, I would like to think any of us would have reacted the same way to ensure the safety of the flight. But I would definitely like to assure the public that all FO's are capable of safely conducting a flight single pilot to a landing. 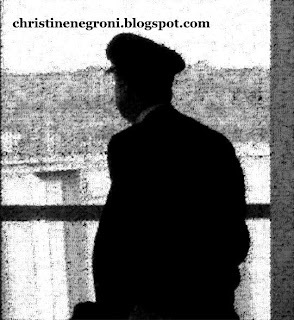 Although airline pilots are not trained in single pilot operations, First Officers are not just 'spare' pilots. We fly every other leg of every trip and as such are perfectly capable of handling both pilots' duties simultaneously, if necessary. It would be a lot of work because under normal circumstances the pilot flying just flies the plane while the pilot-not-flying handles everything else, such as radio communications, clearances, checklists, fuel and landing weight calculations among other things. Having to to all of that while flying the plane would be difficult, and so it was a wise decision for the FO to ask for assistance from the non-rev pilot in the cabin. The report doesn't say who landed, but I would guess the FO did and the other captain assisted with pre-landing, non-flying duties. The whole situation is very sad because it seems clear that Captain Osbon was a stellar pilot and employee, and if/when he recovers from this, I am sure no one will be more upset and mortified about this incident than he. Obviously, the hiring practices have proven to be more than adequate given the First Officer's actions. What we don't need is an unqualified knee-jerk reaction, which further complicates the process of seeking properly qualified crew members. I just spent 3 years auditing 25+ airlines and their pilots in regards to pilot professionalism and training. 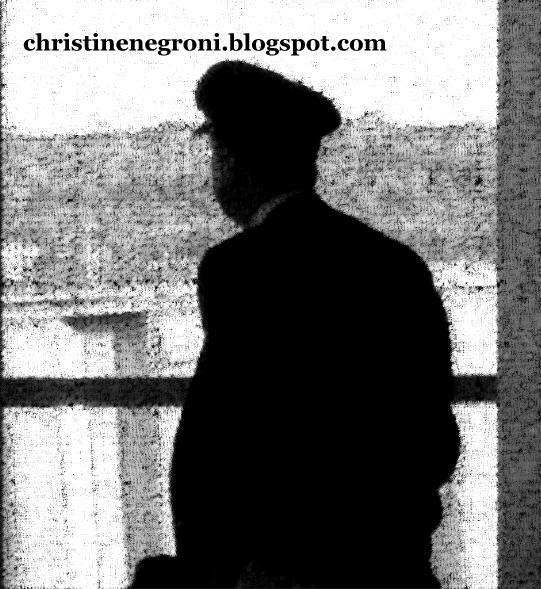 I've talked to each airline's hiring department, safety department, operations, etc. WE've written two reports and have done 3 testimonies. Some of the major airlines do extensive testing prior to hiring and some do none. In addition, FAA has recently allowed pilots who suffer from depression to use certain medications. This is the best thing that has come along in aviation medicine in quite awhile. There was a major problem before because pilots who were sick/depressed had to hide the fact and had to stay away from medication. It is much better to have a pilot on his medication than not. I know, I have flown with and without. Now pilots can get the help they need without fear of losing their job. I think those who seem to be overly concerned about this one incident should really be concerned about the last 6 fatal regional accidents and the Air France crash etc., where lack of pilot professionalism and lack of appropriate training in the basics of flying have caused these accidents. Very sad indeed. It may have something to with medication he took, or might be on. Could even be something he ate. I remember "flippin" out in the crew room nearly 25 years ago as a co-pilot on a turboprop regional when a colleague asked me an inconsequential question. Like a dream. I noticed immediately that the deputy Chief Pilot (a check airman) flew on the very next flight with me, for several flights after -- apparently to check if I was okay. No recurrence. I did see a doctor. Turned out I was on steroids to help my, ahem, what is now known as ED. I've stayed away from anything remotely affiliated with steroids. When I have to take them, e.g corticosteroids, I watch myself carefully for untoward speech or behavior. Weird. Some colleagues who remember my crew room "moment" occasionally bait me with the trigger question to see my reaction. No dice. Aint biting. Been a captain now on big jets for nearly 20 years. No recurrence. I pray Capt Osborn gets the propermedical management he needs.